China Merchants International Travel (Shenzhen) Co., Ltd. (CMIT)is a professional, multi-functional and comprehensive travel service company. CMIT was founded in 1981 with a registered capital of RMB 10 million and now is subordinate to China Travel Service (Holdings) Hong Kong Limited. CMIT is a registered international travel company that has the privilege to provide outbound tours for Chinese citizen. CMIT established a nice and long-term cooperation relationship with the embassies of USA, Russia, Australia, Japan, Singapore and many other countries. CMIT also has the qualifications given by CAAC for issuing international air-tickets in Shenzhen. CMIT mainly provides arrangements for outbound tours, inbound tours and domestic tours. Besides these, CMIT also provides services in air and train ticketing, hotel booking and meeting arrangements. With over 20 years’ development, CMIT has gained a total capital of RMB 45million, a net assets of RMB20million, three medium properties, 200 employees. The total number of tax and profit has reached over RMB2.5million. The hard working spent on the construction of spiritual civilization and material civilization has been recognized by both local government and people. Since 1993, CMIT has been listed among the top national 100 best Chinese international travel companies elected by National Tourism Bureau for 9 years and best Travel Company elected by Guangdong provincial government and Shenzhen government for many years. 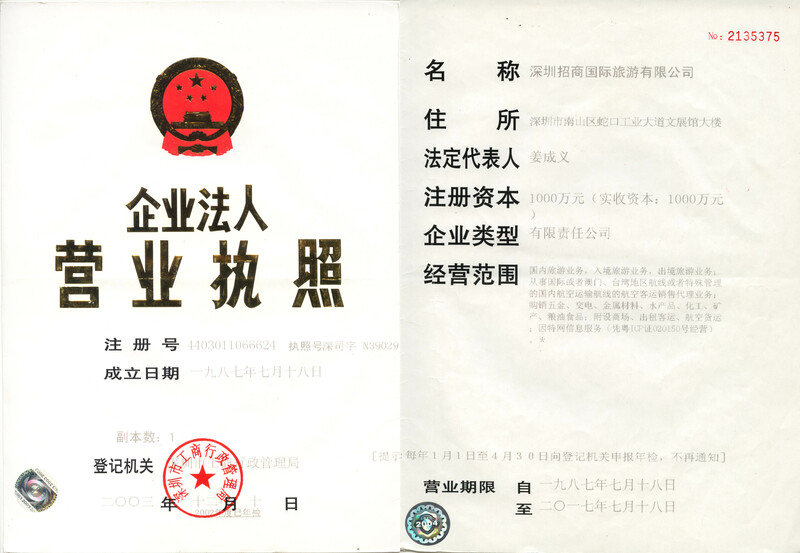 CMIT has been given the title of advanced local communist party organization and civilized enterprise by Communist Party Committee of Shenzhen and Shenzhen Government. CMIT is the first travel company has been certified by ISO9000 quality assurance system in China and still remains the only one in Shenzhen.